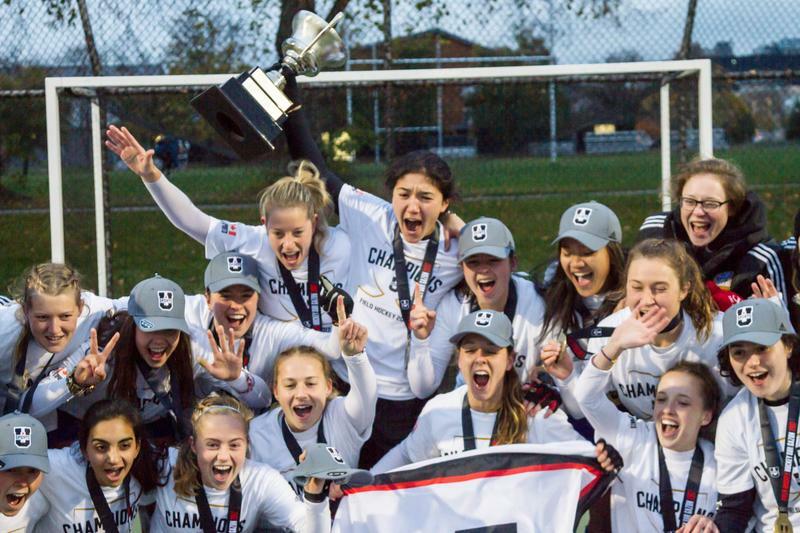 In a historic weekend for UBC women’s field hockey, the T-Birds team swept the York University Lions in a best-of-three series, cruising to their seventh straight national championship title and McCrae Cup. Throughout the weekend, conditions at UBC’s Wright Field were far from ideal, but the ’Birds didn’t let the weather distract them from their dominant play. Their spot in the nationals followed a regular season that saw them go undefeated, closing out the season with seven straight victories. After shutting out the Lions 2-0 on Friday night, the team entered Saturday afternoon’s game with an opportunity to close out the series in just two games. With the championship title just one game away, the Thunderbirds looked comfortable in the opening minutes of gameplay. They played patiently, despite the weight of the McCrae Cup on their shoulders. UBC’s possession was solid early as they focused on speed, aggressive counterattacks and spreading out the field with their passing game. As the first half carried on, the ’Birds continued to put pressure on the Lions as they persistently pushed play up the wings, with players in support of every rush. The team was able to generate quality scoring opportunities with crisp passes into the Lions’ crease, but nothing found the net early. 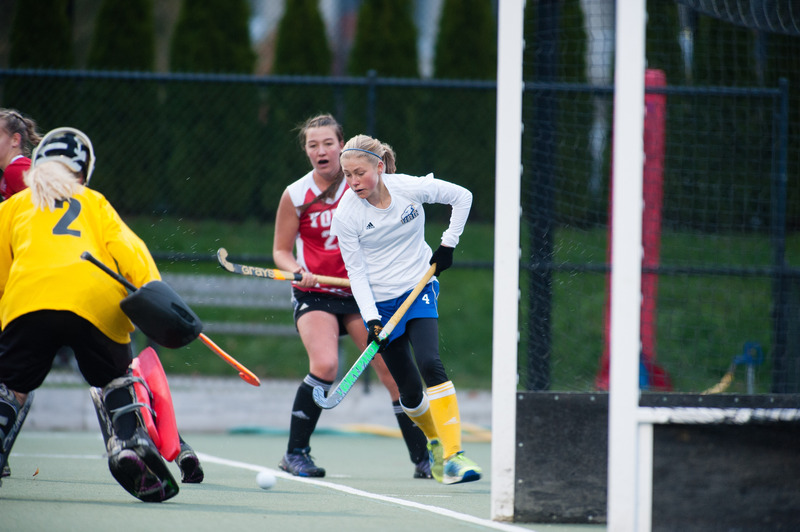 York’s frustration was evident as UBC hemmed them in their own end throughout the opening half. The Lions were limited to long breakout passes that were easily broken up by UBC’s defense, and they were also unable to sustain a substantial attack. Late in the half, the ’Birds would be rewarded with a penalty corner following some strong counterattacking pressure, and they capitalized on the opportunity. 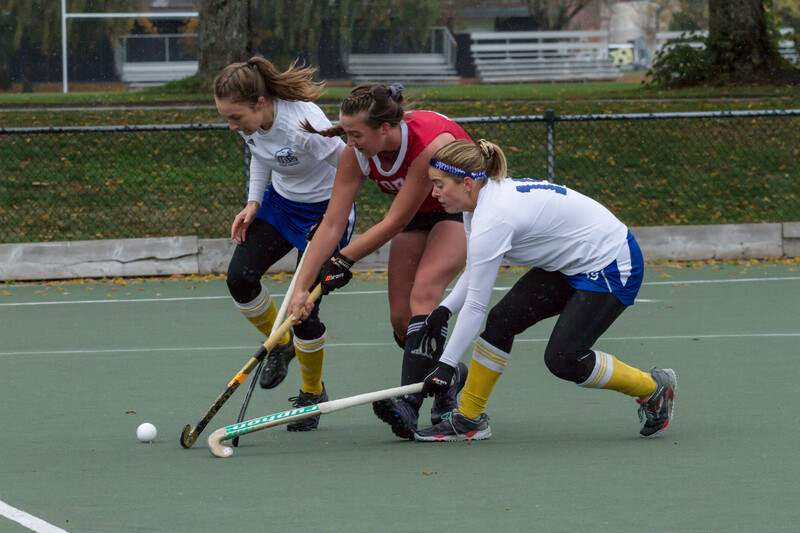 Fifth-year defender Sophie Jones fired a low shot off of the inbound pass to beat Lions goalie Brianna Fequet through traffic. The ’Birds would have an opportunity to double their lead as the game’s clock expired for halftime. On another penalty corner, a solid shot was fired at the Lions net – but the ball would be redirected wide, bringing a close to the first half. The Lions entered the second half with more fight than they could muster in the first, but UBC remained tough and patient — the half swayed in the Thunderbirds’ favour. The few opportunities that York generated were comfortably turned aside by UBC’s goalkeeper Rowan Harris. She would go on to post back-to-back shutouts in their series sweep. 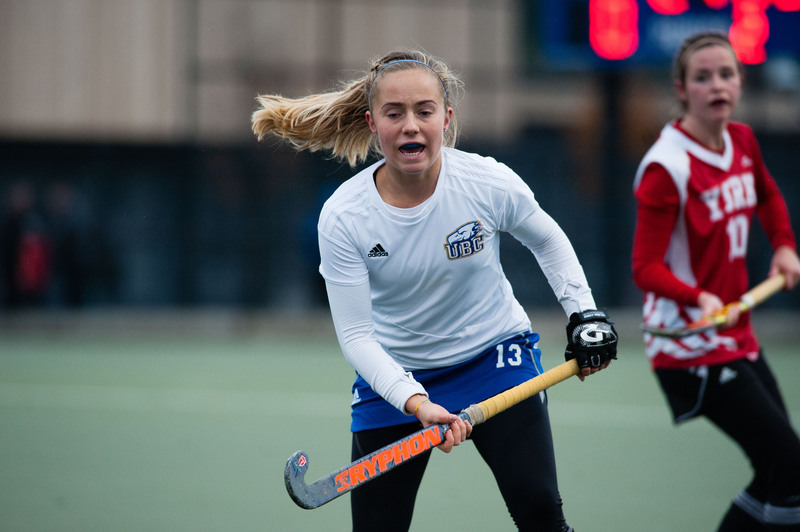 UBC would add to their lead later in the half, as Sarah Keglowitsch fired home a back-handed shot from the top of the crease to beat the Lions’ goaltender in the 49th minute. That would be the final goal scored in the team’s season, as they held on to win 2-0 and solidify their seventh straight McCrae Cup win. If there was a way for a team to comfortably finish an undefeated season, it would be the way the T-Birds did. Though the series with the Lions was tight in score, it was clear that the ’Birds had the upper hand overall and York’s difficulties with giving away straight corners caused them too much trouble. 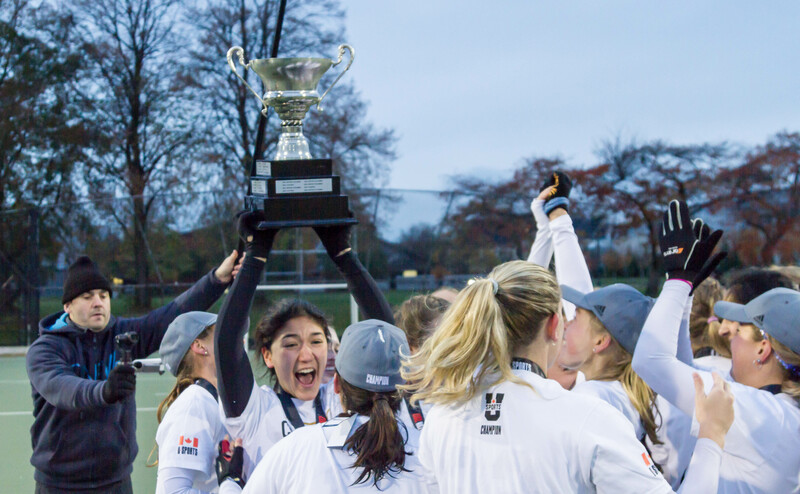 With that advantage, UBC secured their seventh straight McCrae Cup with relative ease.